The online casino is available in Norwegian, German, Finnish, English, Swedish. The Casino site has a clean and mobile first design with a superb selection of casino games. There are more then 500+ titles on the site from top game developers such as Yggdrasil, Thunderkick, NextGen Gaming, Big Time Gaming (BTG), Betsoft, BluePrint Gaming, Play’n GO, Quickspin, Microgaming, NetEnt, Push Gaming, Evolution Gaming. 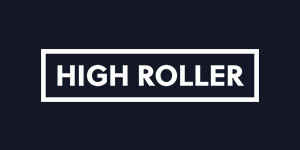 Established in 2017, Highroller promises in delivering an online casino that is ‘more than senseless spins from a faceless shop’. Operated by Betit Operations Ltd, players can embark on thrilling journey of heists and rewards into a world where play and life collide. Take the form of your own personal avatar and find yourself entertained by online slots, table games and jackpots, and prepare yourself to win plenty of cash along the way. The casino is licensed by the Malta Gaming Authority and the United Kingdom Gambling Commission which means you’ll be protected at all times. So why not take a step into the unknown and explore the world of Highroller! For all players from the UK, it’s good news that Highroller Casino have a license to operate in the UK market. Having a UK license provides an extra layer of protection and security for the players, as the casino site has clear rules to follow to maintain its license. The webiste has a great selection of games with more then 500+ titles on the website from game studios such as Yggdrasil, Thunderkick, NextGen Gaming, Big Time Gaming (BTG), Betsoft, BluePrint Gaming, Play’n GO, Quickspin, Microgaming, NetEnt, Push Gaming, Evolution Gaming. Players can deposit funds into their account using credit cards, debit cards, bank transfer, E-wallets, and Prepaid cards. The minimum deposit is £10 and all transactions will be processed instantly. In terms of withdrawals, there is a £50,000 limit in any 24 hour period and it can take up to seven days to appear in your account due to a holding period of 72 hours. Players will be happy to know that the latest SSL encryption technology is used to ensure none of your personal details and information can be stolen and a list of currencies accepted include EUR, GBP, NOK, SEK and USD. It’s hard to find a casino that doesn’t focus on slots these days –which isn’t a bad thing- and Highroller is just the same. There are around 450 of this type and all the popular hits are here, including Book of Dead, Starburst, Big Bad Wolf, Fire Joker, Pink Elephants, Immortal Romance, Sticky Bandits and Ted. You will even have the opportunity to win millions of pounds by playing one of the progressive titles on offer such as Hall of Gods, Divine Fortune, Mega Moolah, Mega Joker, Mega Fortune and Cosmic Fortune. If you fancy a break from spinning the reels then you can play one of the 37 table games available that include blackjack, baccarat and poker. There are six other games that include scratch cards, keno and a couple of virtual reality titles. Fancy experiencing a real casino from the comfort of your own home? Well, now you can with 25 live games from Highroller that include blackjack, roulette, poker, and baccarat. Most of these games are provided by industry-giant NetEnt so you can be sure to have fun while interacting with real dealers and players. If you’re new to the casino then you will be able to get a 200% bonus up to £150 and also 50 free spins. A minimum of £10 must be deposited in order to qualify for the offer and whatever is won must be wagered 35 times before you can withdraw the money to your account. The free spins are also spread over five days. 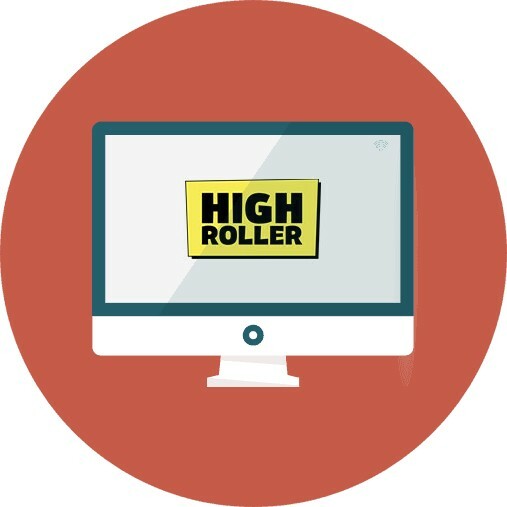 If you would like help during your time at Highroller then it’s best to use the online chat function where a customer support representative will be at your service within seconds. 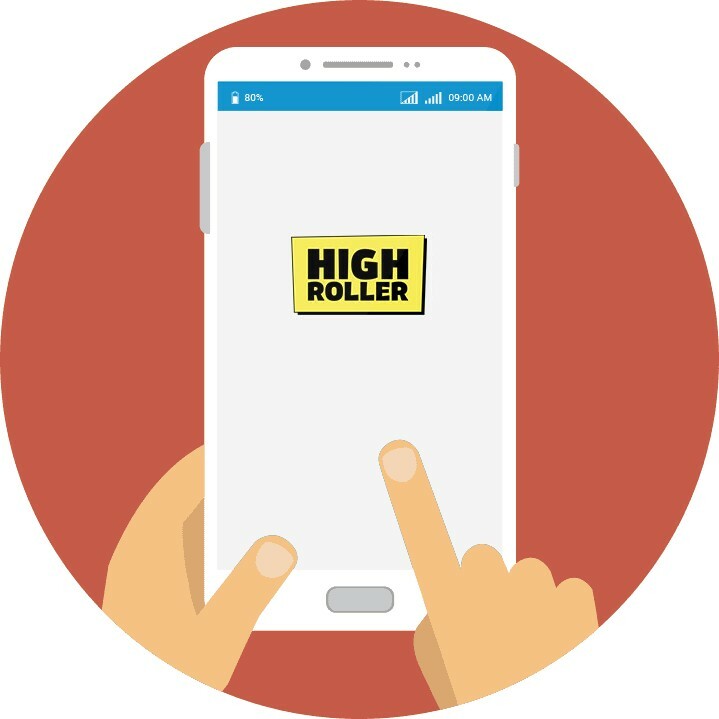 On some casino sites it is almost 80% playing via a mobile device such as iphone or android phones, it is therefore extremely important for casino sites such as Highroller Casino to keep up with the development. You can reach the mobile site in your browser and play most of the games, whether you have an Android or iPhone. You do not need to download any app or external client to be able to entertain you with casino games when you have a moment over, but you can bring with you Highroller Casino in your pocket.